Gamer doesn’t even begin to define who this little comedian is. 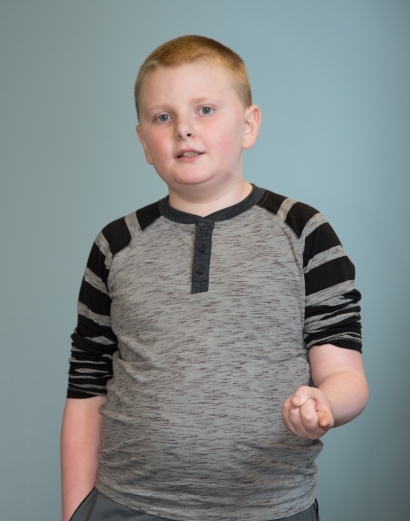 Rolly loves video games, so much so that when he was asked about his perfect family, the first response he had was “A family that has video games.” Don’t let the desire to game confuse you, because Rolly’s other request for his family is that they let him read. Rolly likes to escape into other realities through electronics and books, but tends to struggle with negativity and getting along with his peers. His loving personality needs a consistent and patient family where he can be either the only child or have older siblings. If you are interested in Rolly, you might consider camping and chili dogs to get him hooked. This sweet young man deserves a chance to have a forever family; are you his? Feel free to inquire more about Rolly below.